Pelican Hill Resort weddings are stunning and luxurious. One of Orange County's best luxury resorts is right here in Newport Beach. Being a local wedding photographer allows us the opportunity to work at great venues along the coast. The Pelican Hill Resort is a favorite oceanfront wedding venue to photograph ceremonies and receptions for all the momentous events that take place during a wedding. Whether we are taking the bride and groom on their portrait session or shooting with the whole bridal party, every where we turn we are met with beautiful lush gardens or sweeping views of the Pacific Ocean. You will feel like you and your wedding guests took a trip to Italy with the abundant olive trees, and the iconic Italian rotunda. Your wedding ceremony will be stunning and Pelican Hill is also a great place to host your rehearsal dinner. This is the outdoor space that every bride dreams of for her special day. 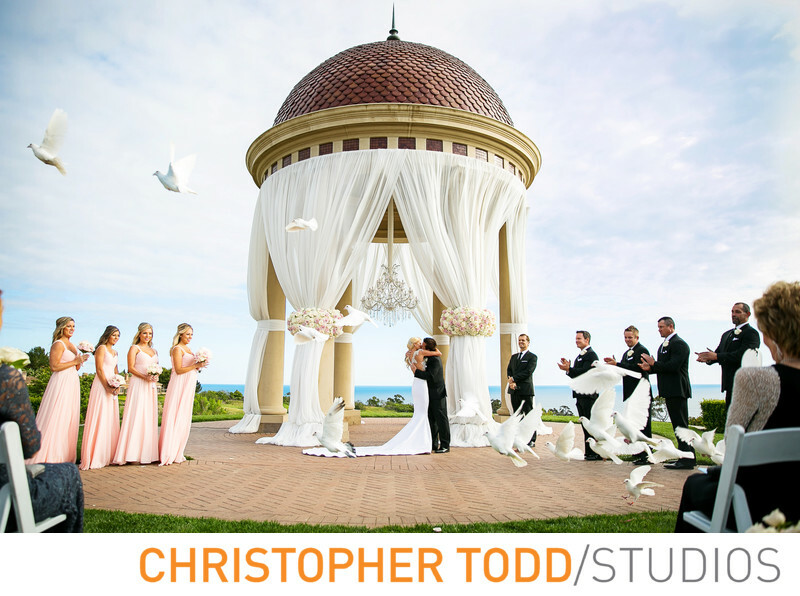 A manicured lawn and the iconic Italian rotunda is perched 300 feet above the ocean. Sweeping views all around. Mar Vista is designed to offer total privacy, standing separate from the hotel and its guests. 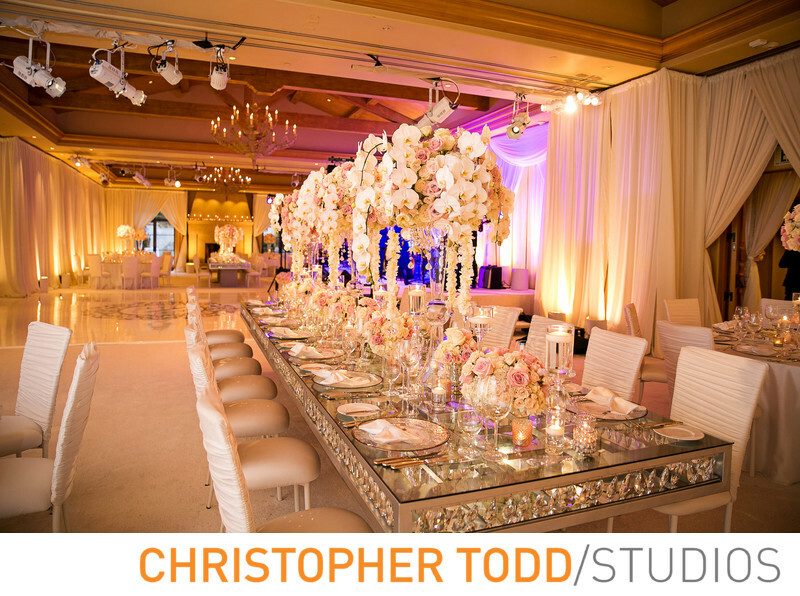 It consists of the elegant Mar Vista Ballroom, La Cappella and the Event Lawn with a Palladian-inspired rotunda. A separate entrance and dedicated valet staff for you and your wedding guests. 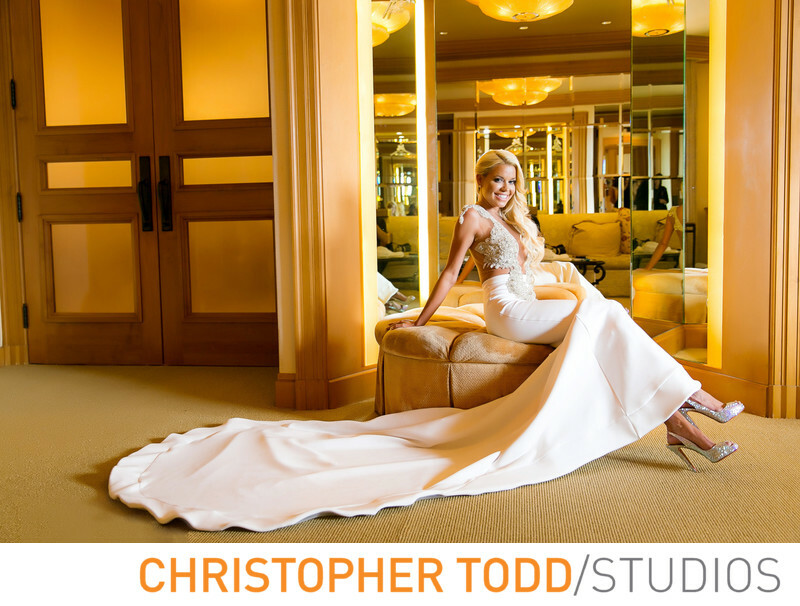 The bridal lounge will accommodate you and your bridal party in their spacious and comfortable rooms. Who doesn't want their own Wedding Butler and complimentary accommodations for the bridal couple the evening of the wedding? Share a glass of champagne with your bridesmaids while you are getting hair and make up done. Or simply relax with your best friends before you walk down the aisle.